Audi A1 S1 2012-18 CURTAIN SIDE ROOF AIRBAG RIGHT OS - Kit Also! AUDI A1 SLINE 2016 3 DOOR. AUDI A1 SLINE. YOU ARE BUYING AN AIR BAG KIT COMPLETE REMOVED FROM AN. AIR BAG KIT. - AIR BAD SENSOR/MODULE. - O/S AND N/S SEAT BELT PRETENSIONER. - PASSENGER AIR BAG. KIT INCLUDES. Audi S1 A1 8X Airbag Kit Complete Dash Seatbelts Steering Roof . Condition is Used. Collection in person only. CONTAINS : DRIVERS STEERING WHEEL AIRBAG. AIRBAG KIT. PASSENGER AIRBAG. DRIVERS SEAT BELT. DOES NOT INCLUDE PASSENGER SEAT BELT. Our site is spread over 5 acres consisting of a reception area, two large storage buildings, de-pollutions bay, vehicle racking facility, in house crushing/bailing zone. Audi A1 2010 - Onwards Airbag Kit Dashboard Driver Passenger Seatbelts. Fits models: 2010 - Onwards. - Dashboard ( Black ). - Passenger airbag. - Driver airbag ( Black ). However, when buying from AIRBAG TEAM our price includes reconditioning your original Airbag ECU/Module. FOR YEARS: 2007, 2008, 2009, 2010, 2011, 2012, 2013, 2014 (2008). Audi Breakers. Opening Hours. Gasket and seals need to be replaced before installation. External gaskets and seals are not warranted. Removed from a 2012 Audi A1 1.6 Tdi (2010 onwards) 3 door hatchback only 48,156 recorded miles. Model - Audi A1 (3 door). Colour code - LY9B Black. Year - 2012. Removed from: 2016 Audi A1 1.4 TFSI S Line 5 Door 6 speed manual in black we are dismantling for spares. 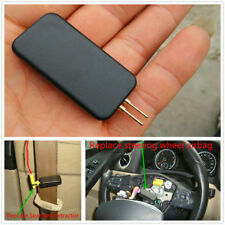 What is Included: Dashboard, Dashboard Airbag, Steering Wheel Airbag, Air Bag Module. Item Details: Airbag Kit. AUDI A1 S1 A3 S3BLACK CRASH BAG AIRBAG GENUINE 8X0 880 201 C 6PS. Condition is Used. Part Number: 5K0953569AL. Don't Hesitate! P/N 4H0955557. AUDI A1 S LINE 2014 3 DOOR MODEL. FRONT CRASH SENSORS X 2. COLOUR- BLACK. AJ SPARES is a large independent Vehicle Dismantlers. 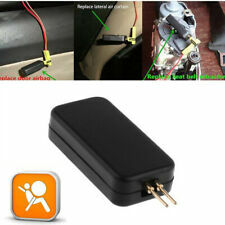 AJ SPARES LTD.
We cannot be held responsible if the item does not fit your vehicle. WE ARE IN SCUNTHORPE DN15. Audi A1 S1 MODELS. A1 STEERING WHEEL. AUDI PART NUMBER. NORTHERN ISLAND, SCOTTISH ISLANDS, SCOTTISH ISLES, ISLE OF MAN AND CHANNEL ISLANDS. THERE MAY ALSO. BE SIGNS OF WEAR AS IT IS A USED ITEM BUT IT WILL BE TESTED AND FIT FOR PURPOSE . A pair of front left & right crash pressure airbag sensors. Removed from Audi A1 8X 2011 1.6 Diesel. 4H0 959 651 A / 4H0959651A. Genuine, Original Audi A1, A6, A7, A8 AIRBAG Front Crash Sensor. Lateral Impact Sensor. Under Official Audi database, Audi A6, A7, A8 models have total 3 of these sensors built in the front. 2016 Audi A1 lock spring squib ring. If you would prefer to collect this item, then that option is also available. If the item is found to be tampered with in any way, the warranty will not be valid. AUDI A1 2012. Collection from our East London Site. Version Trim. Trans- mission. We do not cover labor costs in any case. ITEM CONDITION: This item is in good condition. Suitable for A1 models built from 2010 onwards. THIS EXCLUDES ENGLISH ISLANDS, SCOTLAND, SCOTTISH HIGHLANDS, SCOTTISH ISLANDS AND NORTHERN IRELAND. PASSENGER SIDE AIRBAG 8X0880204B. Manufactured Year 2017. PASSENGER SIDE AIRBAG. Exterior Colour Code. Interior Trim Code YM. Air Conditioning YES. MANUFACTURERS PART NUMBER -. The table below contains further information. AUDI A1 2012 CURTAIN AIRBAG 8X3880741A LEFT SIDE GENUINE. Condition is Used. Dispatched with Other Courier 3 days. 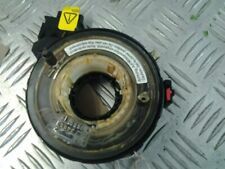 GENUINE 2010 - 2015 AUDI A1 OSF DRIVER. SIDE CURTAIN ROOF AIRBAG. A1 GERMAN BREAKERS UK LTD. A1 GERMAN BREAKERS LTD. PART NUMBER: 8X4880741B. We are much cheaper than the MAIN DEALERS. Complete Front end panels. P/N: 8X3880741A. 2013 AUDI A1 8X. AUDI A1 2013 AXA 5 DOOR 1.6 TDI 105HP C/AYC WHITE. PART NUMBER -. MIDLAND CAR BREAKERS LTD.
2016 Audi A1 2014 On Sport TFSi 125 1.4 7 Speed Automatic Petrol 5 Door Hatchback Airbag Passenger Side This part was removed from a vehicle with the engine code: CZCA All of our mechanical and electrical parts come with a 3 month warranty as standard, this covers the part itself but does not cover any labour charges incurred from fitment or removal of the item. (Terms and Conditions Apply). For extra peace of mind, extended warranties are available upon request at an additional charge. For more information please message us. Please be aware that all our items are removed from right hand drive vehicles unless otherwise stated. If you are unsure if this item will fit your vehicle or if you have any other questions then please call our parts department who will be happy to help. RRP £349.98 FROM AUDI. IT IS THE LEFT FRONT SEAT AIR BAG UNIT. AUDI A1 8X 2010 - 2014. WE AIM TO RESOLVE ANY ISSUES WITHIN 24 HOURS. PART NUMBER 8X0 959 655 B. FITTING SERVICE AVAILABLE - IF THE PART IS FITTED BY US THERE IS 1 MONTH WARRANTY. IF THERE IS A PART YOU ARE LOOKING FOR AND YOU CAN NOT FIND IT. Audi A1 Side Impact Airbag Crash Sensor 2014-2018 Came from a 2015 Facelift Audi A1 Sport 1.6TDI May fit other cars such as Polo, UP. Part number: 4H0959651 A. S7 LAMBORGHINI 2015;. You will get one airbag sensor ! If you buy this item, you will receive This item will fit to AUDI These are actual photos of the item you will receive. 2019 Airbag Driver side - NEW Shape Audi A1 2019 onwards. 2019 Airbag Driver side - NEW Shape Audi A1 2019 onwards.. Condition is Used. Dispatched with Other Courier 3 days. AUDI A1 SPORTBACK 1.2 LITRE TFSI PETROL 2014 MODEL 5 DOOR. PASSENGER SIDE CURTAIN AIRBAG. INTERIOR CODE - YS. PAINT CODE - LY9B BRILLIANT BLACK. GEARBOX CODE - LGQ. FOR YEARS: 2009, 2010, 2011, 2012, 2013, 2014, 2015, 2016, 2017 (2010). Audi Breakers. Gearboxes must be filled with new oil upon installation. All engines & gearboxes will usually be drained of all fluids for carriage. 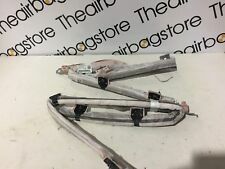 Part number: 8X3 880 741 A. Audi A1 2011 curtain airbag. Audi A1 8X 2015 - 2018 Load Cover Parcel Shelf. Fuel type 5 Speed Manual. Engine Size White B4 B9A. Vehicle Colour This item has been removed from. FOR YEARS: 2010, 2011, 2012, 2013, 2014, 2015 (2011). Audi Breakers. Gearboxes must be filled with new oil upon installation. Gasket and seals need to be replaced before installation. External gaskets and seals are not warranted. N/S/F LEFT NEARSIDE. PART NUMBER: 1T0 880 241 A. AUDI A3 MK2 8P MODEL. SEAT AIRBAG. VW & AUDI USED SPARES LTD. Audi A3 1997>2003. Audi A3 2003>2008. WE DO NOT COVER FOR ANY LABOUR COSTS. FOR YEARS: 2011, 2012, 2013, 2014, 2015, 2016, 2017, 2018 (2013). Audi Breakers. Gearboxes must be filled with new oil upon installation. All engines & gearboxes will usually be drained of all fluids for carriage.